After last year’s epic finale, setting expectations for this year’s Oscar ceremony with any appearance of certainty seems foolhardy. Yet, in the shadow of the most nail-biting award season in recent memory, taking the gamble feels more thrilling than ever. Using a formula devised from array of results from this year's second tier award ceremonies, anonymous Oscar voter interviews, and plain gut feeling, Sneak Peek presents its official Academy Award predictions in all 24 categories. Sam Rockwell on the set of "Three Billboards Outside Ebbing, Missouri" – Photo by Merrick Morton © 2017. Courtesy of Twentieth Century Fox. First up is the category of Best Actor in a Supporting Role. Although Willem Dafoe has been honored by most critics’ groups for his role in The Florida Project, Sam Rockwell has this on lock having swept most of the key industry ceremonies thus far, including the BAFTAs, Golden Globes, and Screen Actors Guild. Darkest Hour is a shoe-in for Makeup and Hairstyling; while they’re at it, this team of stylists can pick up Gary Oldman’s award, too. Likewise, designer Mark Bridges was foundational to PTA’s newest masterpiece Phantom Thread, making him the obvious choice to take home the prize for Costume Design. The category for Documentary Feature is the perfect opportunity for the Oscars to award the first consolation prize of the evening. Although Faces Places has not been hailed as Agnes Varda’s best documentary (a high bar to clear, to be sure), the doc will likely win Varda her first ever Oscar (besides the "side" one she recently received). I have no problem with the Academy wanting to make up for their embarrassing oversight of the French auteur's decades-long career. Maybe her cardboard cutout will accept the award. Sound Editing and Sound Mixing will go to Best Picture nominee Dunkirk. The exciting war picture recently received the same honors from the craft-specific Cinema Audio Society as well as the more integrated voting bloc at the BAFTAs. Although I’d like to see my favorite TV aunt Laurie Metcalf honored for her turn as the serious, hard working mother of Lady Bird, the Award for Best Actress in a Supporting Role clearly belongs to Allison Janney, another long-deserving small screen actress. Foreign-Language Film is a close call, but I’m betting on Cannes favorite The Square. As for the animated categories, it’s difficult to best against Pixar. The award for Animated Feature Film has not gone to a non-Pixar or Walt Disney movie since Rango in 2011. This doesn't bode well for Loving Vincent, a film that has been acclaimed by critics, audiences, and even the hard-to-please anonymous Oscar voters, but lacking the universal appeal of Coco. As for the Animated Short Film, the race is harder to call. I’m betting on Kobe Bryant’s popular short, "Dear Basketball," although Pixar’s "Lou" won’t be going down without a fight. Production Design frontrunner "The Shape of Water" – Photo Courtesy of Fox Searchlight Pictures. The prize for Production Design will likely go to the Cold War era fantasy-romance, The Shape of Water, which collected the same prize at the Art Directors Guild Awards as well as the BAFTAs. The competition for Visual Effects is a near tie between War for the Planet of the Apes and Blade Runner 2049. Apes has collected a few more VFX awards than Blade Runner from voters within the field, such as the Visual Effects Society, but Apes has lost this same award twice now despite similar acclaim for previous installments. My pick is the BAFTA winning Blade Runner sequel. Next up is one of my most anticipated awards of the evening, Film Editing. It’s the one category in which my favorite film of the year, Baby Driver, actually stands a chance. The outcomes for Documentary Short Subject and Live-Action Short Film are anyone’s guess. My picks for these prizes are “Heaven is a Traffic Jam on the 405” and “Dekalb Elementary,” respectively. Long overdue but hardly a consolation prize, Roger Deakins is a sure bet in the Cinematography category for his stunning effort in Blade Runner 2049. And it's not a close call. Best Song frontrunner "The Greatest Showman" – Photo by Niko Tavernise © 2017. Courtesy of Twentieth Century Fox. My pick for Best Original Score is Alexandre Desplat’s enchanting work in The Shape of Water. As for the award for Best Original Song, there isn’t much award season precedence to go off of. The nominees have only competed against each other at the Golden Globes which is a very different group of voters than the Oscars, so it's anyone's guess. Nevertheless, I must predict that the Oscar will go to my least favorite song in the category and this year's Golden Globe winner “This is Me” from The Greatest Showman. Original Screenplay is a close call between Get Out and Three Billboards, with my pick being Jordan Peele’s perfect social thriller. If Get Out only walks away with one award on Sunday night, it ought to be this one. Equally exciting is the Adapted Screenplay category, which will likely be Call Me By Your Name’s only award of the night. Now, it is with a heavy heart that I discuss the Best Lead Actor category. Gary Oldman is the inevitable choice, having swept every honor along the award season trail for his portrayal of Winston Churchill. (Condolences to every future sufferer of whiplash due to this inevitable post Oscars conversation: Remember a few years ago when that poor guy said political correctness is destroying people’s careers? And then dropped several racial slurs in the same interview? The PC Police take another innocent vict–wait, who won an Oscar?) Timotheé Chalamet may recover from this miscarriage of justice but I will not. In lighter news, Frances McDormand is poised to win her second Academy Award for Best Lead Actress. Even those of us who are not on the Three Billboards bandwagon can agree on the impressive power of Frances’ performance. Guillermo del Toro on the set of "The Shape of Water" –Photo by Kerry Hayes © 2017. Courtesy of Twentieth Century Fox. 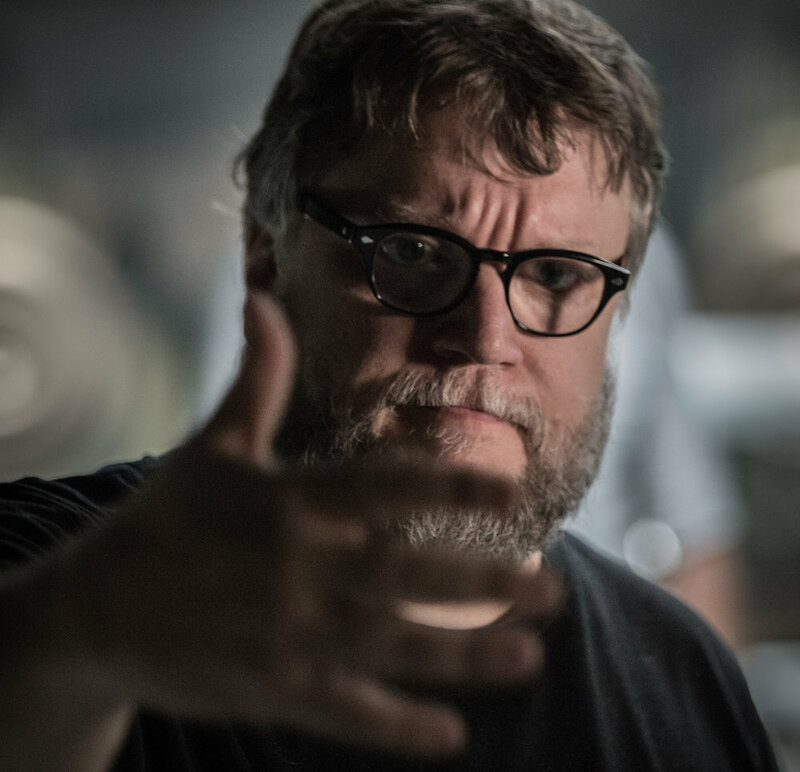 Although I'm hoping for a few good surprises in the major categories, it’s hard to imagine a ceremony in which The Shape of Water doesn’t win both Best Director for Guillermo del Toro as well as the coveted Best Picture trophy. The film has already won big at many of the major guild award ceremonies, including a Best Director trophy from the DGA and Best Picture from the PGA. Keep in mind though that the last couple of Oscar ceremonies have awarded the biggest prize to relative underdogs in the category, like Birdman, Spotlight, and Moonlight. Perhaps Get Out will receive the recognition it deserves as the black horse candidate. Remember to follow Sneak Peek on Twitter and Instagram @SneakPeekTV and let us know who you want to win big this Sunday.